The 24', fiberglass cabin cruiser that was scuttled on the reef at the KVI Tower dive site is a nice find on an already gorgeous reef dive. The actual location of the wreck had eluded me for years, even though I had reports from lots of divers that had seen it. I just didn't seem to be able to find the little bugger. With the recent addition of a dive Mooring Buoy at the KVI site, this wreck is now really easy to find. Simply secure your boat to the buoy, descend on the line and swim due East to locate the wreck. You'll find it in 85' of water at a zero tide (which equates to just shy of 100' deep at a very high tide). Or, you can just find it the way I did. I followed a huge Octopus that was "flowing" along the sand below the reef for quite a while and he lead me right to the wreck. 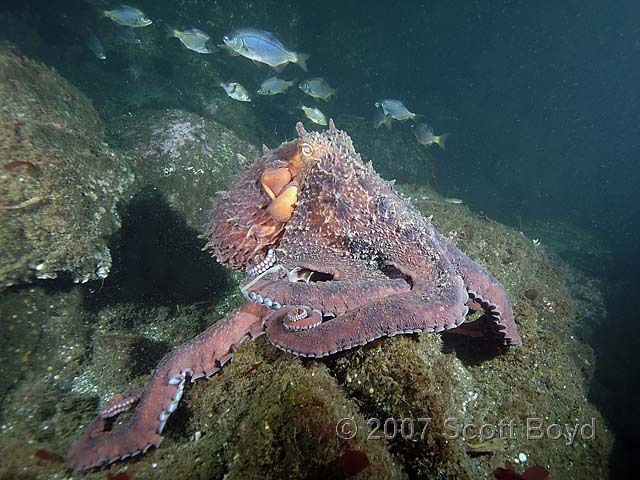 The large Octopus obviously uses the wreck as one of his homes. He was fairly non-plussed when I swam inside for a visit, tolerating my invasion of his den for several minutes without trying to hide. On exiting the cabin, you'll find the obligatory toilet (they seem to last forever) and still attached to the transom, you'll spy a boarding ladder, hanging as if waiting for divers to re-board after a dive. The ladder surprises me as the vessel has obviously been scuttled, but is a nice touch and makes me chuckle whenever I see it. For those like myself that seem to be "navigationally challenged" in locating this wee wreck, just follow the main structure down from the mooring buoy (with the nice cork floats marking the way) to about 90' of depth (adjust for tides). 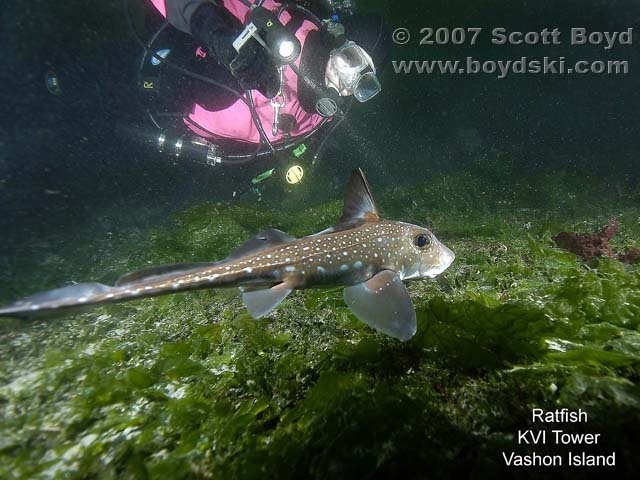 Then turn to your left and swim North along the depth line and you'll run right into the KVI Wreck. 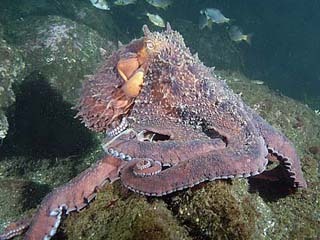 Say hello to the large Octopus for me if he's still hanging out in the wreck and have a great dive. 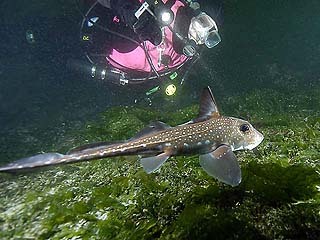 Depths: 85-100' Hazards: Fishermen, boats.